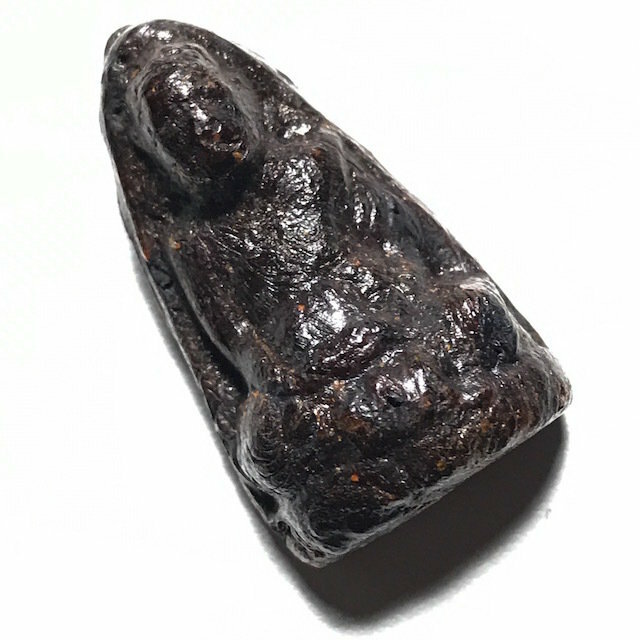 A world famous Pra Niyom Preferred master-Class amulet of the Tamniab Pra Niyom, the Roop Muean Nuea Krang Putsa Luang Por Tong Sukh 2536 BE extreme limited edition amulet, with the Sacred Image of Luang Por Tong Sukh. 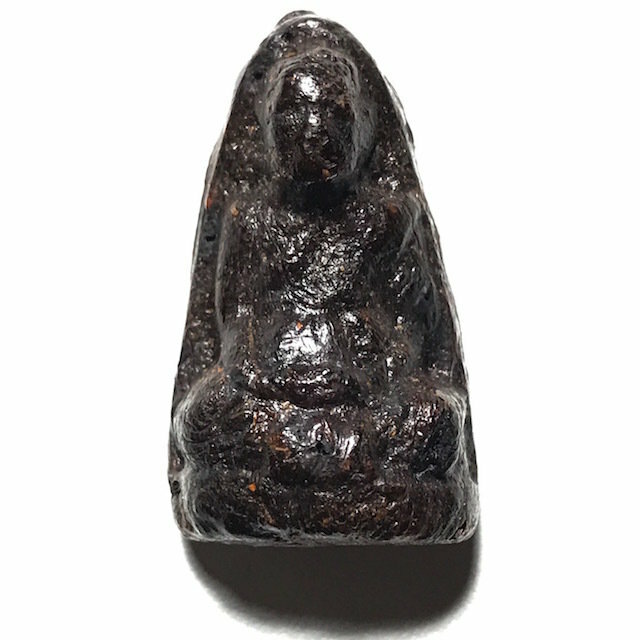 Made in Magical Putsa Paste, from Deceased Guru Master, the Great Luang Por Phaew, of Wat Tanode Luang, made with collaboration of first apprentice Ajarn Pairote, who beseeched Wicha to make these amulets. 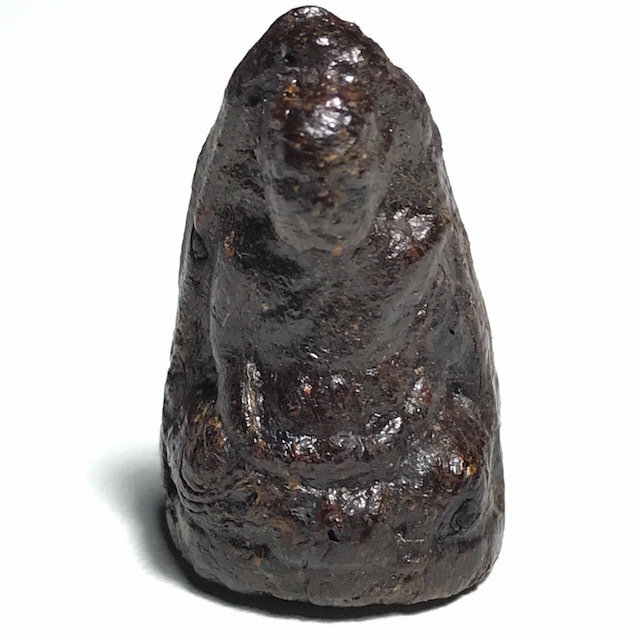 The amulet is made from molded Krang Putsa resinous Sacred Substance of Luang Por Tong Sukh, from Luang Por Phaew's repository which he inherited from Luang Por Tong Sukh. Only 99 amulets were made in all by Luang Por Phaew with the help of his novice apprentices, making this perhaps his most rare edition of amulets. 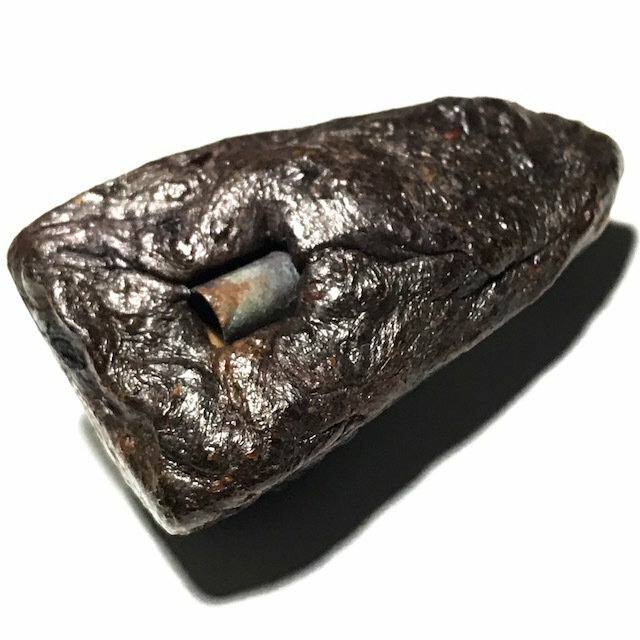 The Pra Roop Muean Nuea Krang of Luang Por Phaew is one of the most famous and highly sought after amulets of the 'Tamniab Wadthumongkol' Pantheon of amulets of Wat Tanode Luang, and one of Luang Por Phaew's top five amulets within his personal Pantheon; the Pra Roop Muean Luang Por Tong Sukh Nuea Krang Luang Por Tong Sukh. 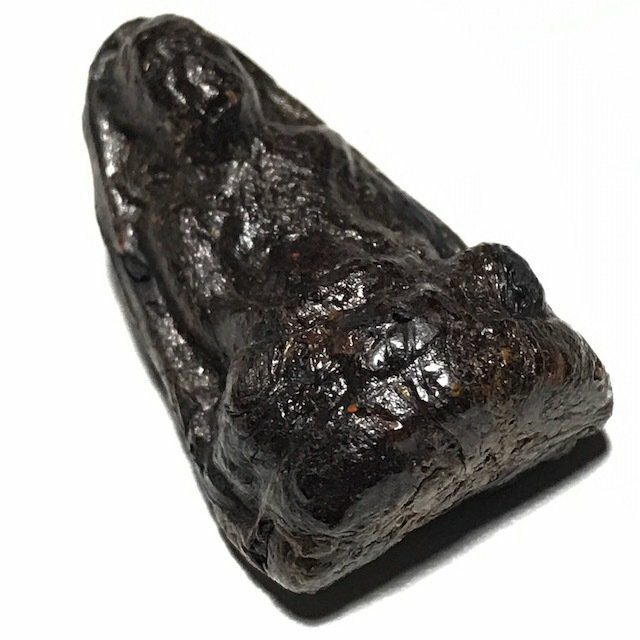 The Roop Muean Luang Por Tong Sukh Wat Tanode Luang, is made from the famous Krang Putsa Magical Resinous Paste of the great Luang Por Tong Sukh, famous Sorceror Monk of Wat Tanode Luang. 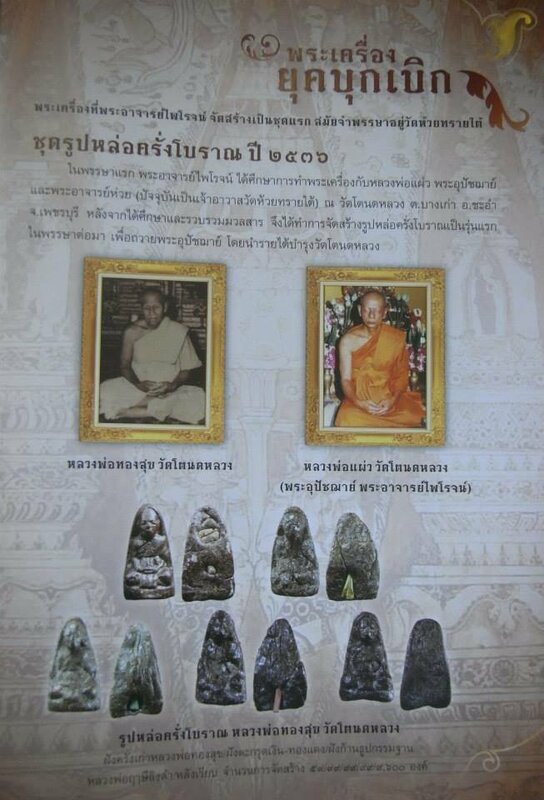 The amulet was made by his Looksit, and the subsequent succeeding abbot of Wat Tanode Luang, the Great Luang Por Phaew. Krang Putsa paste is renowned for its powerful desire inducing power, to invoke desire towards another person, or even desire to acquire (buy) the wares and goods of a salesperson. This implies intense Metta Maha Niyom Mercy Charm and Maha Sanaeh power of attraction. 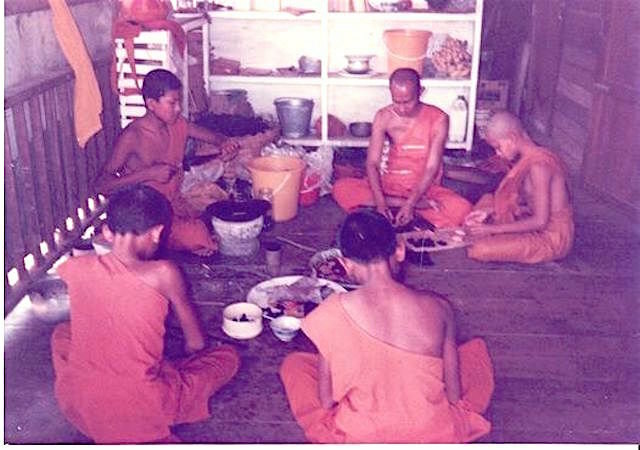 However, the Roop Muean Nuea Krang is also renowned for Kong Grapan Chadtri Klaew Klaad Protective/Evasive magic, and Maha Lap power to attract wealth and lucky fortunes. 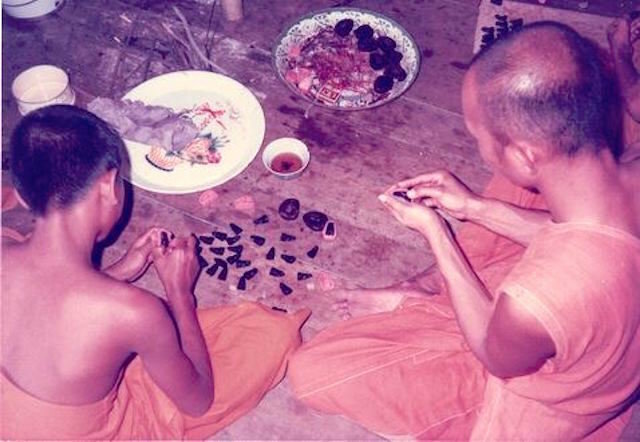 The amulets of Luang Por Phaew were made continuing the methods and style of Luang Por Tong Sukh, preserving the Wicha in Continuation. His Krang Putsa Paste amulets are legendary, and highly reputed for their magic power. Luang Por Phaew's amulets are very rare, for he never made any large amounts, and his rarest of all amulets is his first and only ever Edition Guru Monk Coin from 2517 BE, which featured a simple image of Luang Por Phaew on the front face, and Sacred Na and Kata Khom Akom on the rear face. 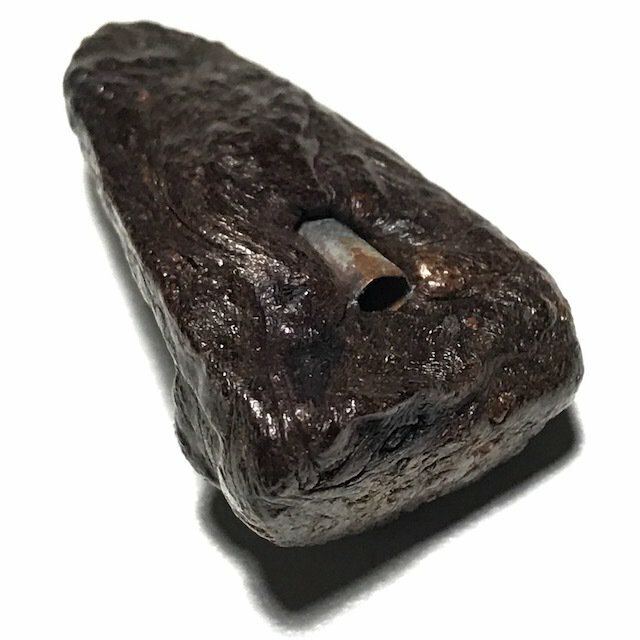 Below, a documentation of this extreme limited series amulet which was released in 2536, with Gaan Toop incense sticks from Luang Por Ruesi Ling Dam's Kammathana Meditations, and using the Krang Putsa paste used in the original 2509 BE edition, and Luang Por Tong Sukh's original Luang Por Tuad Nuea Krang. The fact that the edition was made in esteem and nostalgic praise of the Roop Muean Nuea Krang Luang Por Tong Sukh, is a testament to the Eminence and Spiritual Power of this amulet. 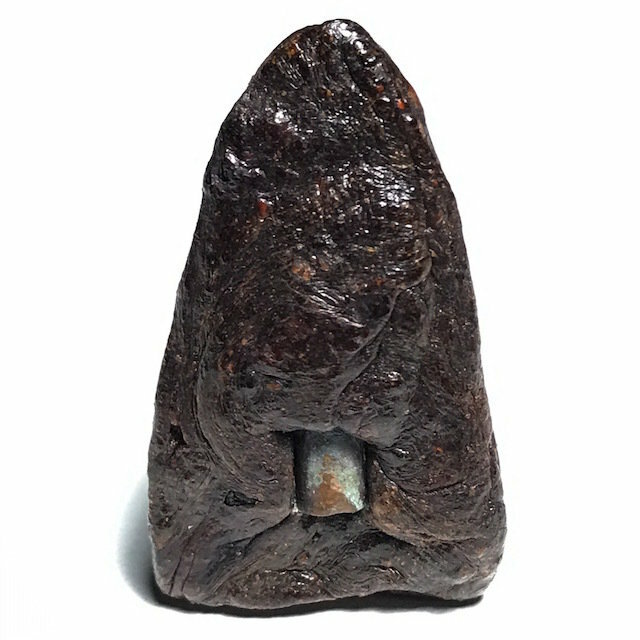 Most examples had an incense stick in the rear face, with a only a very few with Takrut inserts.